How Does a Craftsman Bolt-Out Set Work? 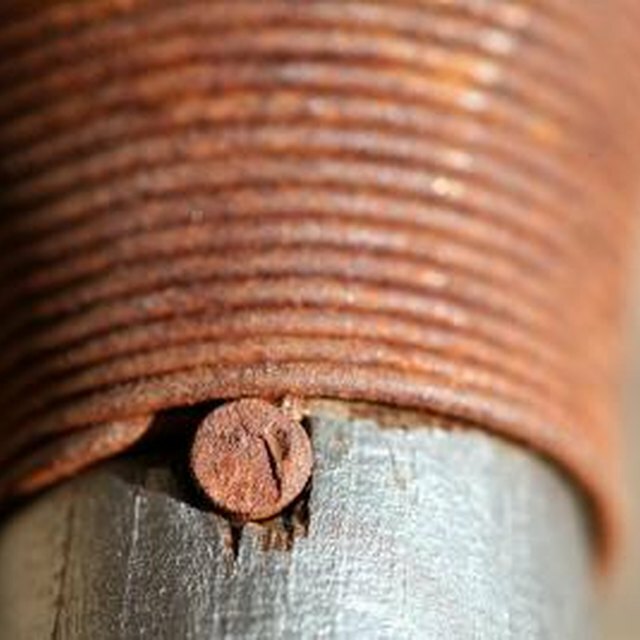 Loosening a stripped bolt can be very challenging and may require multiple attempts and methods before the task is complete. You might be able to use items already in your possession to get a stripped bolt out. Depending on the location of the bolt, you may not be able to attempt all of the options. Small stripped bolts can cause big headaches. Spray WD-40 or an similar product around the base of the bolt. Use a straw to direct the flow of the spray directly to the base of the bolt. Grasp the exterior of the bolt with vise grips and apply pressure in a counterclockwise manner. Grind a horizontal slit in the bolt with a grinder if the vise grip method fails. Grind the slit so you can fit a flat head screwdriver into it. Insert a flat head screwdriver into the slit and turn counterclockwise. Purchase a stripped bolt removal tool kit at your local hardware store if the grinder method fails. A stripped bolt removal tool kit uses special sockets that can be placed on the end of a normal ratchet. Use the appropriate size socket for the bolt and turn counterclockwise. Clean any traces of WD-40 from the bolt site and weld an Allen wrench to the bolt if the stripped bolt removal tool kit failed. You can use a welder or weld paste which is sold at most hardware stores. The weld paste requires no heat and can be applied in minutes. After the Allen wrench is welded to the bolt, turn the Allen key counterclockwise. WD-40 is flammable and should not be used in conjunction with welding.